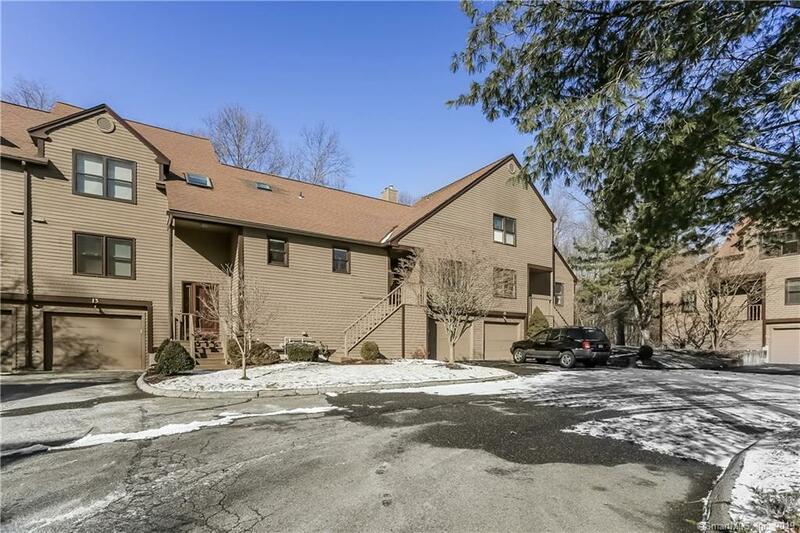 Nestled in the beautiful hills of Monroe, CT, the Northbrook Condominium Complex has a spacious 151-acre property boasts woodlands, open fields, and 5 ponds, walking trails winding through woods and meadows, two swimming pools, tennis courts, and a clubhouse for parties and special events. This nicely maintained Wellington model is located in the middle of all this beauty. 15 Bittersweet has many updates including a gorgeous newer kitchen with stainless steel appliances, granite counter tops, a travertine floor, pantry closet and large island. Oh, did we mention the touchless faucet with LED lights?? The Dining Room and Living Room are open to one another and have a cathedral ceiling with wood beams. The gas fireplace has newer log set for heat. Main floor master bedroom suite, private bedroom and full bathroom on the upper floor, finished lower level and screened in porch complete this townhouse. Hardwood floors. Central A/C, natural gas heat. District Tax amount is quarterly.